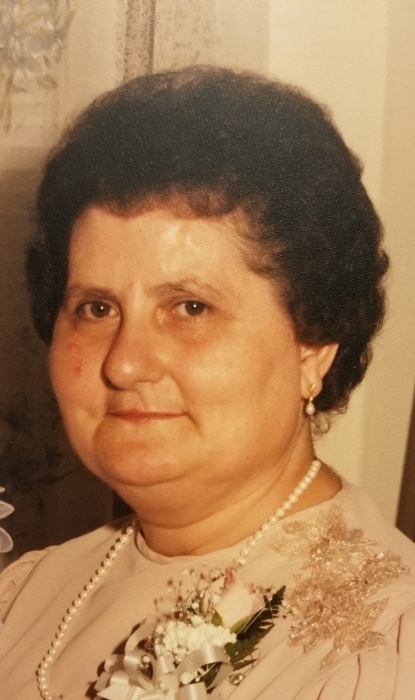 Vincenza Cafini, age 80, went to be with the Lord on Friday, August 17, 2018, after a short battle with cancer. She was born January 21, 1938, in Pescara DelTronto, Italy to the late Gioacchino and Albina Rendina and moved to the United States in March, 1955. She returned to Italy in July, 1957 to marry the love of her life, Alberico. They were married on August 29, 1957 and returned to the United States in April, 1958. She worked for Pala’s Café for 26 years leaving in 1985 to open her family restaurant, Ristorante Attilio, with her husband and children. She enjoyed spending time with her family, especially her grandchildren. She also enjoyed cooking, making pizzelles, bingo and going to the casino. She is survived by her husband, Alberico, of almost 61 years, her daughter, Adele, son, Attilio (Michele), and daughter Carla Perrino (Monte). She is also survived by her 6 grandchildren, Monte, Gabriella and Juliana Perrino (Pete), Alissa Cafini, Attilio Cafini, and Cristina Sanchez-Sosa (Edwin). Vincenza is also survived by her sister, Colomba of Wilmington, DE, brother-in-law and sister-in-law, Angelo and Mirella Cafini of Rome, Italy as well as several loving nieces and nephew and great nieces and nephews. She was predeceased by her brother-in-law, Mario Cafini. Relatives and friends may visit on Thursday, August 23rd from 10:00 a.m. to 1:00 p.m. at St. Anthony of Padua R.C. Church, 901 N. DuPont Street, Wilmington, DE where a Mass of Christian Burial will be celebrated at 1:00 p.m. Entombment will follow at Cathedral Cemetery, 2400 Lancaster Ave., Wilmington, DE. In lieu of flowers, please make donations to National Pancreatic Cancer Foundation, P.O. Box 1848, Longmont, CO 80502. To send an online condolence please visit corletolatinafuneralhome.com.